According to Statista, reports say that the GDP distribution of service sectors or role-based sectors are around 78.92% across The USA. If the ambit of your target market limits to certain professionals, executives and decision makers, it may not be a viable idea to cross multiple barriers of communication to get in touch with the right prospects. Hence, InfoClutch provides you a rich database to connect with your targeted audience, be it Accountants, Healthcare Professionals, Lawyers, Attorneys or any other. Role-based professions are of utmost importance in today’s world, and they hold a great place in the modern society. They are the individuals who play a major role in connecting the world today. 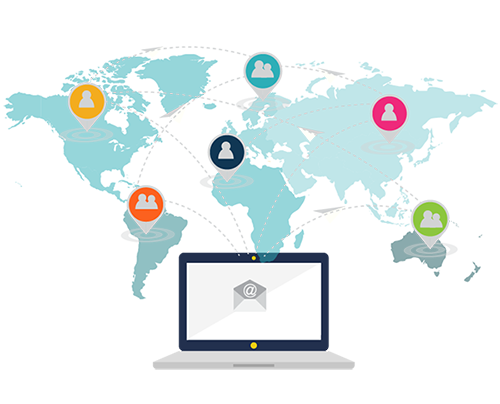 Having an extensive reach across the markets in USA, UK, Canada, Europe and Australia, InfoClutch is well equipped with professionals email list to help you meet your organizational goals. Also, if you require your list to be designed in a particular fashion with specific data heads, we will go an extra mile to serve you the way it best suits you. Our comprehensive, result oriented and authentic professionals email list will never fail to bring you the desired results. Almost every industry, company or an organization hire people based on their job functionalities. There are the individuals who are in more demand across all channels of the market. Our group of data scientists serves to offer you with highly verified and comprehensive professional email lists so that you stay in the limelight. With InfoClutch, find ways to get in touch with all kinds of professionals via email, telephone, and direct mail. We as well segment and customize the email database based on your business requirements. Our database is an accretion of more than 70 million global users across 300+ industrial sectors. Customized mailing lists prepared from numerous criteria options, including income, geography, sales volume, credit rating, SIC Code and more. Data segmentation and modeling information to precisely target your outreach and to boost up customer acquisition, retention, and loyalty. Benefit from value backed services that offer greater potential. Quicken the pace of sales cycle and maximize the reach through high-quality contact data.